To better understand how structures perform, we regularly collaborate with other researchers and research facilities across the United States. We often donate products to universities for testing purposes, and our engineers volunteer their time to teach courses. We also lend financial support to further research efforts. A few examples include our donations to Washington State University (WSU) in Pullman, WA establishing the Simpson Strong-Tie Excellence Fund and Simpson Strong-Tie® Research and Testing Lab, to California State Polytechnic University (Cal Poly), San Luis Obispo for the construction of the Simpson Strong-Tie® Materials Demonstration Lab, teaming with researchers at Colorado State University to conduct seismic testing of multi-story, wood-frame buildings, and donating product and providing technical expertise for a series of earthquake tests for cold-formed steel-framed buildings at Johns Hopkins University. Ongoing collaboration with academia enables us to learn from others, share our expertise and provide a broader knowledge of structural safety. That helps the industry as a whole to build safer, stronger structures. 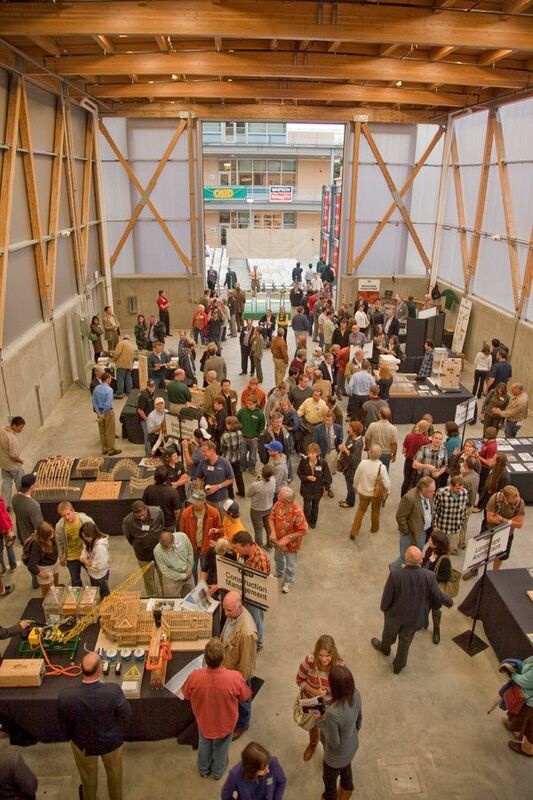 Cal Poly (California State Polytechnic University, San Luis Obispo) and Simpson Strong-Tie celebrated the grand opening of the Simpson Strong-Tie® Materials Demonstration Lab in 2010. As part of the University's College of Architecture and Environmental Design, the facility provides a hands-on learning environment for students. Simpson Strong-Tie donated $500,000 to help fund the lab's construction. Following Cal Poly's motto of "Learn by Doing," the 7,000-square-foot lab is designed so students can build and test full-scale models and building components. 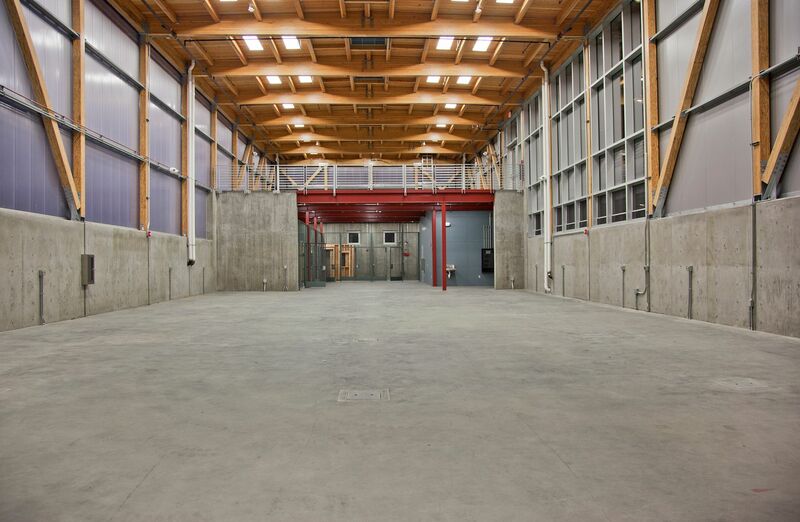 The lab itself is built with a variety of materials, including heavy timber braced framing, engineered wood, cast-in-place concrete walls, translucent polycarbonate wall panels and several Simpson Strong-Tie structural-engineered connector and fastener products. A strong proponent of education, Simpson Strong-Tie believes knowledge is the key to advancing the design, building and construction industry. 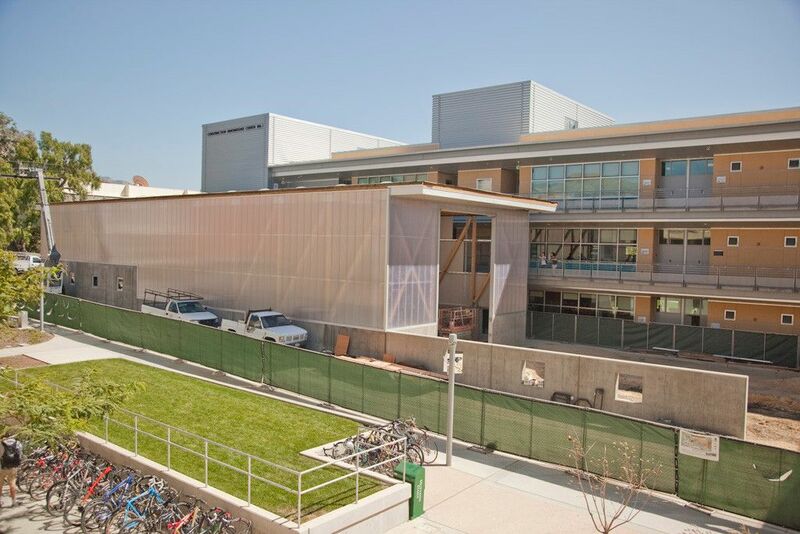 In addition to the Materials Demonstration Lab, Simpson Strong-Tie has coordinated student workshops, provided scholarships and served on college advisory committees at Cal Poly since 1990. The new lab allows students to use state-of-the-art technology to learn the fundamentals of construction management. 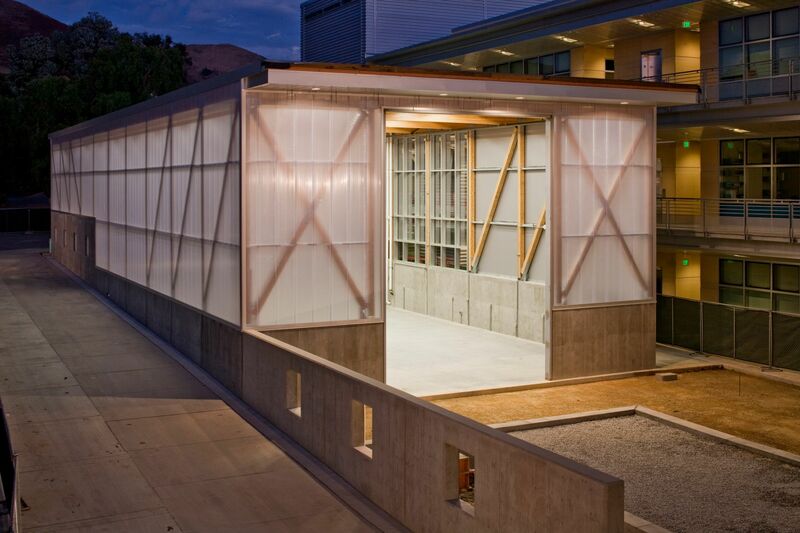 Read about the design of the lab in the October 2010 issue of our Structural Report newsletter.